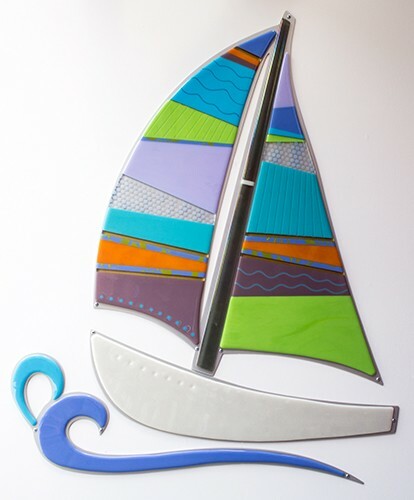 The second sailboat, a bit bolder in coloring, is installed in Children’s Hospital in South Dartmouth, MA. 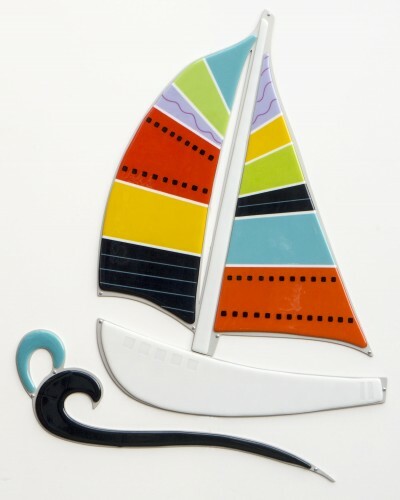 Original sailboat installed in Children’s Hospital, Boston, MA. My first foray into CNC plasma cutting of aluminum for a backing material, with much gratitude to my husband and intrepid co-adventurer in making things for assisting in this endeavor!